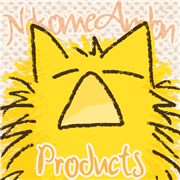 Cute and funny, cat artwork products. A lot. Produced. Sale.